Last Updated: February 25, 2016 | Subscribe to our weekly newsletter! There is nothing more annoying than turning on your hot tub after you spent a great deal of time cleaning it and refilling it with fresh water than an air lock. Unfortunately, this type of problem is quite common when you change the water on a hot tub, so knowing how to fix it is very important for every hot tub owner. Luckily, there are different ways you can quickly fix an air lock in a hot tub so you can get back to enjoying your spa in no time flat. Today, let’s take a look at a couple of fixes that will clear that air problem in just a few short minutes. What Is a Hot Tub Air Lock? Before you can begin to fix an air lock in a hot tub, you need to understand what it is. In most cases, an air lock occurs when you drain your hot tub, clean it and then refill it. During that time that your hot tub sits without water, air can become trapped inside your hot tub. 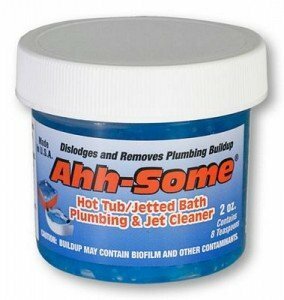 This air can prevent your hot tub jets from functioning and even damage your hot tub if you don’t repair it. When an air lock happens, you will quickly notice the problem. You will turn on the jets and hear the motors running but you will see that no water is flowing through them as it should. That is because there is air trapped inside the plumbing preventing the water from flowing normally. A hot tub air lock can vary in its severity based on the amount of air that has become trapped inside your hot tub. However, there are different methods you can try to fix this air lock yourself so you don’t have to call in outside help. Aside from my silly puns, a hot tub air lock is serious business, and it is something that you need to look after right away. Luckily, in most cases, fixing a hot tub air lock isn’t too difficult and can also be fixed rather quickly. Let’s take a look at some quick fixes to get rid of that extra air trapped in your hot tub. This first little trick is the easiest to do, and it can be done by anyone regardless of their technical experience. Turn down the heat. Before you do anything else, crank the temperature down so it doesn’t try to kick on while you are getting rid of that air. Open all the jets by turning each of the faceplates counterclockwise. Make sure every jet is opened completely. Turn on the jets of your spa and turn them to high. Once they are on high, allow them to run for 10-15 seconds. Repeat the previous step 3 times increasing the run time by 10-15 seconds each time. When you see air bubbling from the jets leave them running until all the air has been released. This is by far the easiest way to get rid of that extra air in your hot tub, but unfortunately it won’t always work. If after three times you don’t see air coming from the jets STOP the burping procedure immediately. Sometimes, the only way to get rid of that extra air is to purge it directly from the hot tub pump If you click this link and make a purchase, we earn a commission at no additional cost to you. itself. While this procedure may seem a little too complicated, it is actually a rather easy process that almost anyone can do with just a few simple tools. Phillips Head Screwdriver If you click this link and make a purchase, we earn a commission at no additional cost to you. Pipe Grips If you click this link and make a purchase, we earn a commission at no additional cost to you. Once you have gathered the tools that you will need, it is time to get started. Locate the pump for your hot tub. This is usually located behind the front panel of your spa, but check your hot tub’s manual to make sure. In most cases, you will need to remove it with a Phillips head screwdriver. Find the large union nut that connects the spa plumbing to the motor. Using your hand or the pipe grips, slowly loosen the nut. This will begin to release the air. Once water begins to leak out, all the air has been released. Tighten the union nut. Turn on the jets to check to see if the issue has been fixed. In most cases, this will take care of your air problem once and for all so you can get back to enjoying your hot tub the way it was meant to be. You'll save $100 right away with this easy-to-follow digital ebook and video course. This is the guide that hot tub manufacturer doesn’t provide you. If all else fails, don’t be afraid or ashamed to call in a hot tub specialist. While I believe that you can do the repair yourself and I’m betting you will get great satisfaction by becoming Mr. or Ms. Fixit, if you aren’t comfortable doing it then you definitely should call in the big guns. Let’s face it, sometimes we all need a little help. So if you don’t feel like you can take care of your air problem alone, by all means call your local repair professional to take care of it for you. There is nothing more frustrating than a hot tub air lock right after you just finished a water change. After all, chances are you are trying to get it ready to go so you and your family can enjoy those warm, bubbling waters again. Luckily, by following the steps above, you should be able to clear it in no time so you can get back to those nice, hot soaks in no time. Find out what you need to do to troubleshoot a misbehaving high limit switch on your hot tub so you can go back to soaking safely. Learn where to check for and how to fix a leak in your hot tub so you can stop the flow of water yourself without calling an expert. We examine the most common causes for hot tub breaker trips so you can get back to enjoying your spa the way it was meant to be. Learn how to repair and replace a hot tub air blower so you don't have to call in an expensive repairman to jump start your hot tub for you. 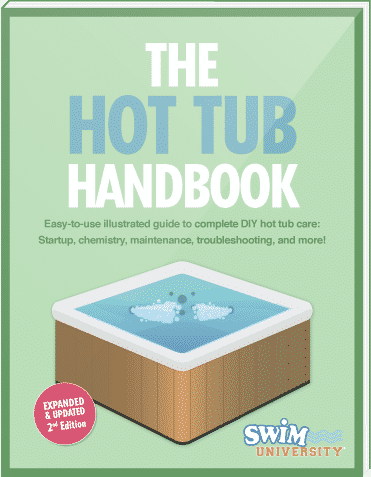 Learn how to troubleshoot hot tub jets and what some of the most common hot tub jet problems are and how you can fix them yourself. If you don't know your hot tub pump essentials yet, you'll wish you did when your jets suddenly quit. 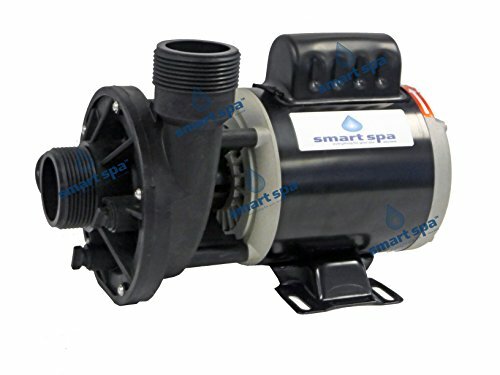 Get the scoop on spa pumps before problems start. By entering your email address you agree to receive emails from Swim University. We will respect your privacy and you can unsubscribe at any time.